Material: 68% polyester, 4% elastane, 28% viscose. 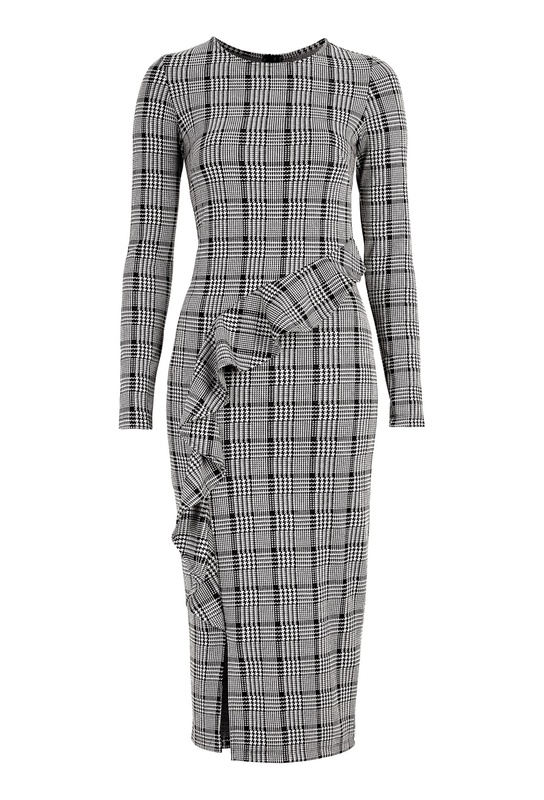 Line frill dress from BUBBLEROOM is the perfect dress for several occasions. - Made in a stretchy quality. - The dress has a frill that goes from the hip down to the slit. - Closed with a zip at the back. - The length of the dress: 118 cm in size S.
- Sleeve length: 62 cm in size S.